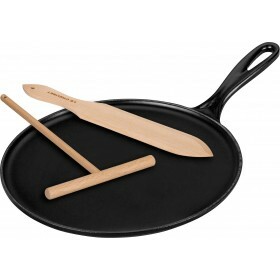 Perfect for making crêpes, pancakes and other sweet or savoury recipes. 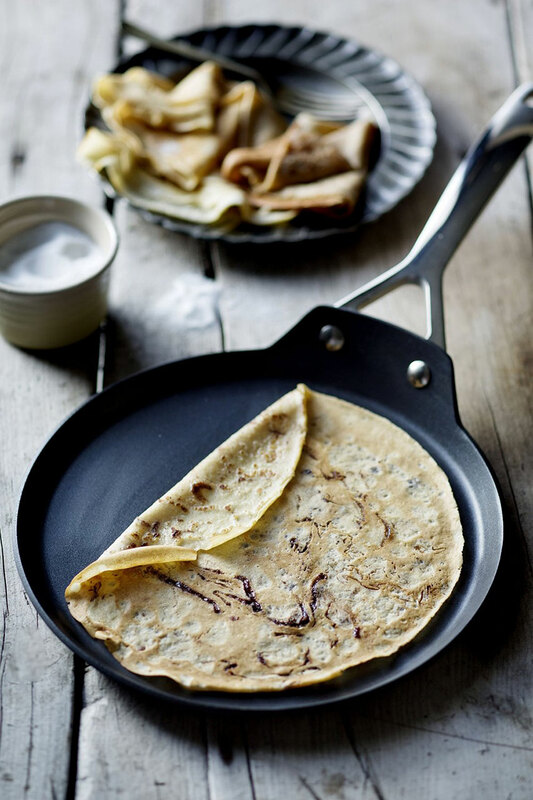 Crêpes brown evenly and release from the pan effortlessly. 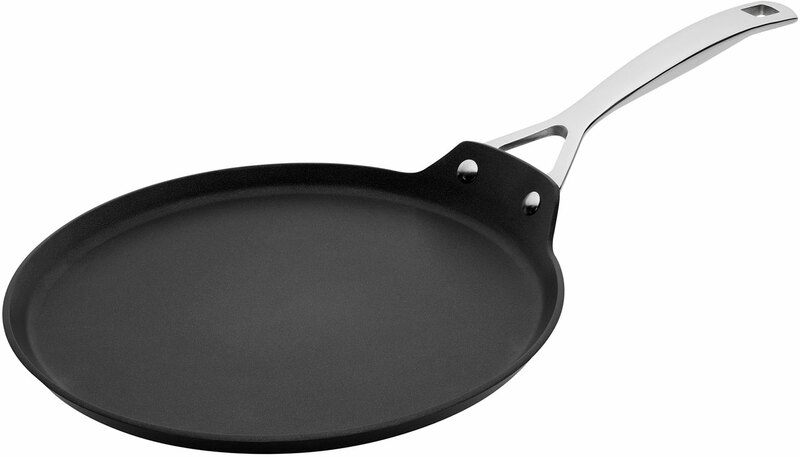 Tough, PFOA-free non-stick surface inside and out. High-quality hard anodised forged aluminium body. 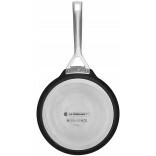 Double riveted stainless steel handle stays cool to touch. 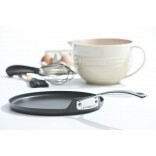 Suitable for all stoves, induction compatible. Easy to clean, metal utensil safe. 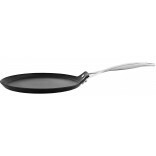 This Crêpe Pan is the perfect shape for creating delicious pancakes that brown evenly and release from the pan effortlessly. 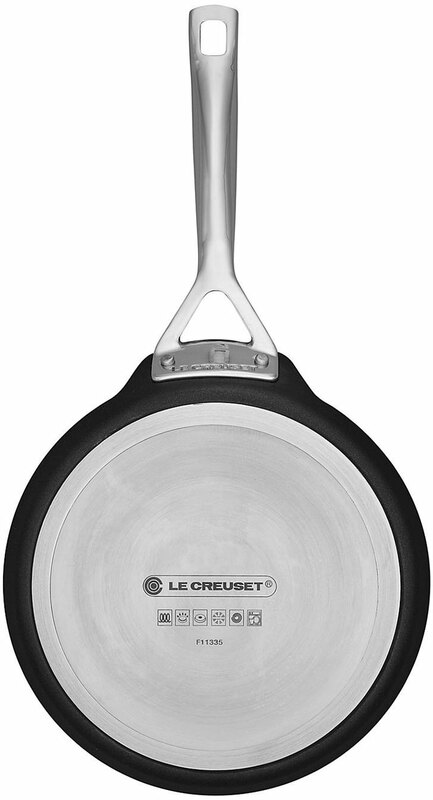 Toughened Non–Stick from Le Creuset is a sleek range of versatile non–stick pans featuring stylish design coupled with superb cooking results. 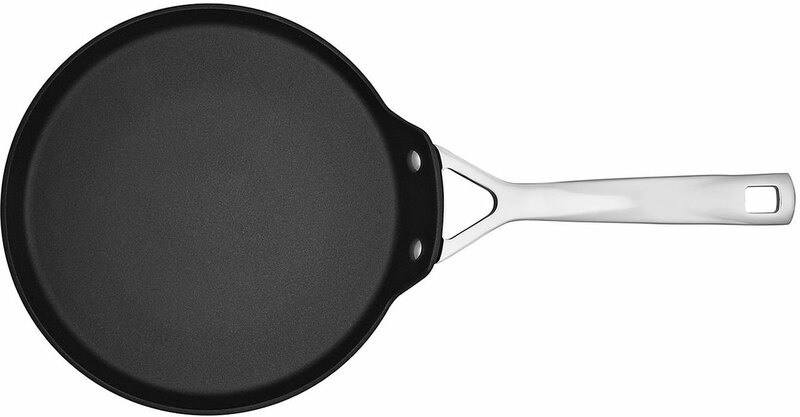 It has a tough, PFOA-free non-stick surface inside and out, and a special hardened body to create a durable and long-lasting pan ideal for everyday use. 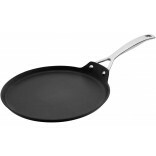 The easy release non-stick surfaces are effortless to clean, and are tough enough to withstand use of metal utensils. 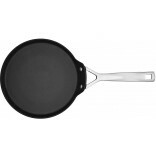 The pan spreads heat evenly and efficiently so there are no hot spots in your cooking. 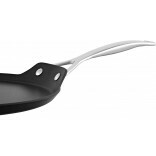 The specially constructed base incorporates a magnetic, stainless steel disk that provides extra strength and stability to the pan and makes it suitable for use on all stove types, including induction. 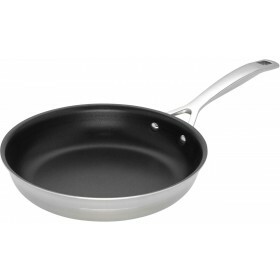 The stylish double riveted handles are hollow cast stainless steel, which stay cool when the pan is on the stove. 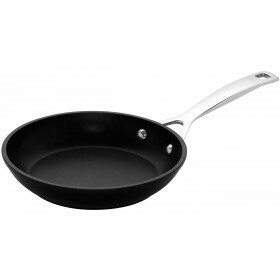 Dishwasher safe, although these pans are so easy to clean handwashing is recommended. 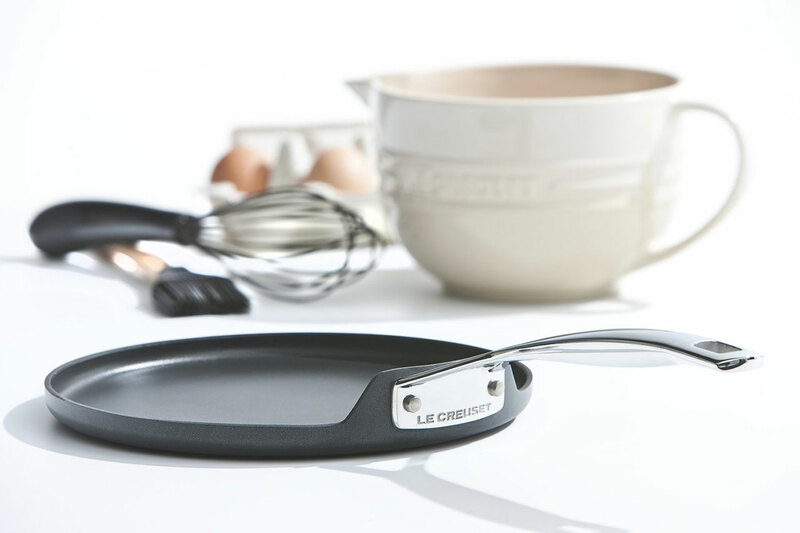 Each Toughened Non-Stick piece comes with a lifetime guarantee from Le Creuset. 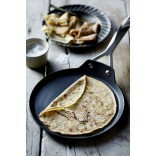 Love the Le Creuset pancake pan, it is light but with the usual Le Creuset quality - best pancake pan ever!